I wanted to take a moment to introduce a new family to you! The Campbells have purchased the Seldovia Boardwalk Hotel, and they are going full-out to make this hotel “The place to be” in Seldovia! Enjoy this interview, and when you see the family about town – please extend a warm welcome! It is so exciting to see another business in Seldovia! Gazette: First – we would all like to welcome you to Seldovia! I’ve heard from a number of folks about how great it is to see some activity at the hotel – lights on, and people coming and going and the anticipation of a grand opening in the Spring! Can you introduce yourselves, who you are, where you currently live? Jeremiah: Thanks Jenny. We are Jeremiah and Angela Campbell. 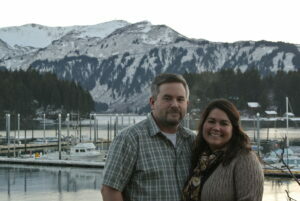 We both grew up, and lived most of our lives in Seward. We moved up to Eagle River about two years ago due to my job. Gazette: What is your business experience, and why did you decide to take on a hotel in Seldovia? Jeremiah: We have been involved in a number of businesses over the last 20 years. Some things we have enjoyed and others not so much. We were partners in a custom seafood processing and fish smoking business back in the early 90’s. We also opened a small seafood fish & chips restaurant as a compliment to the seafoodprocessing business. We had cabin rentals on our property on Bear Lake in Seward. I started my General Contracting business in the late 90’s and built a number of houses over the years in the Seward area. In 2003 we started a charter boat business with my brother Ezra and a life long childhood friend. We have gone through all the ups and downs with the boat business. We had as many as 5 boats at one time, and are now down to one (Thank God). We operate our 50’catamaran out of Seward every summer running Sport Fishing charter trips and this will be our 12th year of operation. My day job though (the one that pays the bills) is working as a Project Manager for ASRC doing commercial construction. Like a lot of people growing up in a small town and as small business owners, you have to sometimes wear more than one hat if you are going to make it! My mom has lived over here in Seldovia for quite a while, and now my grandma is in Seldovia as well. Running the hotel will hopefully be something that we can all enjoy as a family. Gazette: There are quite a few B&Bs in town, how do you feel the Boardwalk Hotel is different, and what are you excited about bringing to the community of Seldovia? Jeremiah: The number one goal for us is to help the local economy by bringing year round stability to the lodging industry in Seldovia. Every town in my opinion (no matter how small) needs at least one central place that they can count on to always be open. We are planning to open a small pub and grill that will also be open year round in the Hotel. I think the locals will appreciate this just as much as visitors will. I look at the hotel as being a compliment to the other businesses already established in Seldovia. The more people who can visit and spend the night in Seldovia will obviously mean more money spent in Seldovia. I think there will be more opportunities in general for the town and other business as well, if there are more beds to offer on a year round basis. Gazette: You are advertising that you will open in March – do you have a grand opening date yet? As you mentioned that you will be running year round, what are your plans to keep the hotel busy, as Seldovia is pretty quiet in the winter months? Jeremiah: We don’t have a hard date set yet, but would like to plan a soft opening around Spring Break in March. When we get closer, we will plan on having an open house and have an evening of appetizers and fun for the community to come and see some of the changes we have made. The challenge with any community oriented business in small town Alaska is how to stay afloat in the winter. I know it is quiet in the winter, but I think once people know that they can stay the night at a moments notice and year round there might be a few more people wanting to visit Seldovia. We will be offering winter specials working with other local businesses to promote Seldovia and hopefully enticing a few more folks to come over and visit during the winter months. Gazette: Your mom Bobbi Sweatt, lives in town, and we all know her! I hear she is going to play a big role in the running of the hotel. I know that you want to have a presence there 24/7, can you tell us more about that? Jeremiah: My mom will definitely be a big help when we are not here and the 24/7 presence will be one of the challenges during the winter months. I anticipate the hotel being busy during the summer months. Our family will be in Seldovia working the hotel during the summer months along with some additional employees that we will hire from the community. The idea behind the food and the pub is to also help with the challenges during the slow winter months. Gazette: You have a large family, and we’ve discussed how excited you are about this being to a real family project! Can you introduce the rest of your family? You mentioned you will be hiring a few positions locally, what additional staff are you anticipating needing to supplement your family team to run the property? Jeremiah: Angela and I have three daughters, Breeann 24, Anna 18, and Emma 15. We also have our first grandchild Jace who turns 1 on December 23rd. 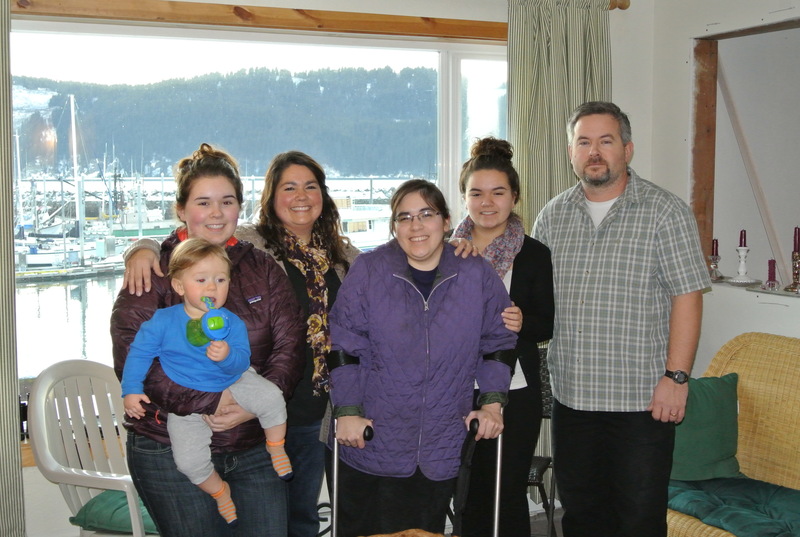 They will all be spending lot’s of time in Seldovia visiting their grandma and great grandma and pulling shifts at the hotel. Even with all the family, we anticipate hiring a few different part-time positions, including a bartender, cook, wait staff, and housekeeping. Gazette: We have talked about some major upgrades to the property, flat screen TVs, high-speed internet, new beds, etc. What more can you tell us about the changes you are bringing about in the hotel, without giving away too many secrets? Jeremiah: No big secrets, the hotel was built well and has great bones, but things were just a bit dated and it needs some upgrades. I travel a lot for my work, and travelers expect certain things when they check into a hotel. Whether it is business or pleasure, now a days you need to have a T.V. and internet at a minimum. The basic configuration will stay the same, but we are repainting everything, adding new flooring and fixtures, new beds and putting in a small commercial kitchen. The biggest changes will be in the lobby area where we will be adding seating for the dining and pub area. It might be the smallest pub in Alaska, but it will be cozy and fun! Gazette: It is a BIG project to renovate 12 guest rooms – I know you are focused on the bottom floor right now, do you plan to have the upstairs rooms ready by summer 2014? Jeremiah: There is a lot to do and I will be doing a lot of the work myself. We want to have the 4 rooms on the bottom floor and the lobby check in area open in March. We are going through the process of applying for our Beverage Dispensary License now and that will take some time. We want to have the kitchen and pub up and running by Memorial Day in May. We will also have a big push at the end of April to finish renovating the upstairs rooms. Gazette: The new website: www.SeldoviaBoardwalkHotel.com is live and functioning, but I know it is just getting started, and you have a lot to add to the site – especially once your renovations are complete. How soon will folks be able to book online for 2014? Jeremiah: The website is underway and will be a work in progress for the first year. We have a property management system that we are putting in place and the on-line booking matrix is being built now. Hopefully this will be live to take reservations on-line by the first of the year. In the mean time we have the phones up and running with the main number still the same at 234-7816. From the website you can send us an e-mail with your dates to make your reservations. Gazette: You mentioned on your website that there will be a continental breakfast provided – which is a new service for the hotel, are there any other new services that you will be providing your guests? Jeremiah: We will be providing a continental breakfast for guests in the morning and then open for regular lunch and dinner to the public. We are going to offer coffee and espresso service to guests and the public in the morning as well as throughout the day. We will be open early and hope that the local folks will come down to enjoy the waterfront view and some friendly conversation. Gazette: One of the most successful things the original owner of the Boardwalk Hotel focused on long ago, was offering package deals out of Anchorage (flights, boats, 2 night stays, kayaking, etc.). Because you are from the “Big City” area, do you anticipate working that avenue to promote Alaskan travelers to Seldovia? Jeremiah: Once we are up and running and have something to offer and show people, that will be our next step. It takes a lot of logistical planning to make package deals successful, and we will definitely be pursuing these opportunities. Gazette: What is your great hope for the Seldovia Boardwalk Hotel? Jeremiah: We want the Hotel to be a place that is warm and inviting for everyone. We want it to be a mainstay that people can count on when they visit Seldovia. It has been here for a long time and we are hopeful that the community will show us the support once they see who we are and what the Hotel is about. 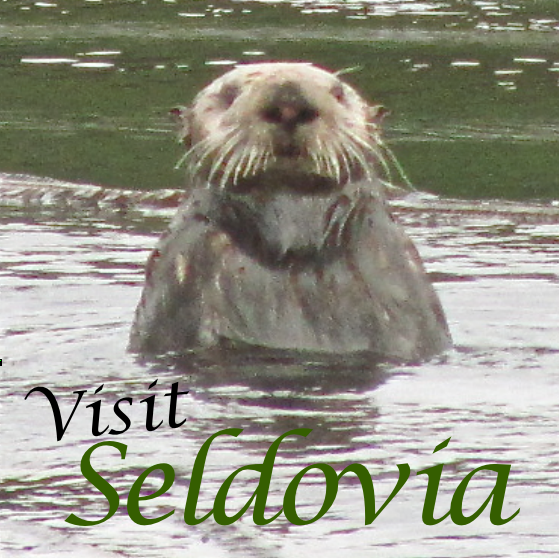 Gazette: Is there anything else you would like to share with the community of Seldovia and visitors considering a trip to Seldovia during the summer of 2014? Jeremiah: We would like everyone to know that for the Hotel to work, we will need the support of the local community and the local businesses. For the hotel to be successful we need to know that other local businesses and services are up and running and that we can depend on our guests to utilize these services. I am a firm advocate of small business in Alaska as this is the economic engine that supports most small Alaskan communities. 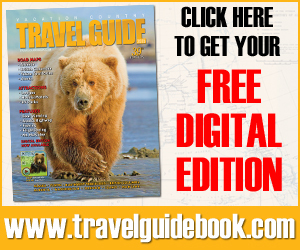 Tourism has continued to grow and is something that everyone needs to get behind as it now generates a substantial amount of revenue to the small communities of the Kenai Peninsula Borough. Seldovia is a small, unique town that is by far one of the most relaxing and beautiful places that tourists can visit while on the Kenai Peninsula. Come and enjoy the peace and tranquility of everything that Seldovia has to offer and you too might find yourself wanting to come back for an extended stay! 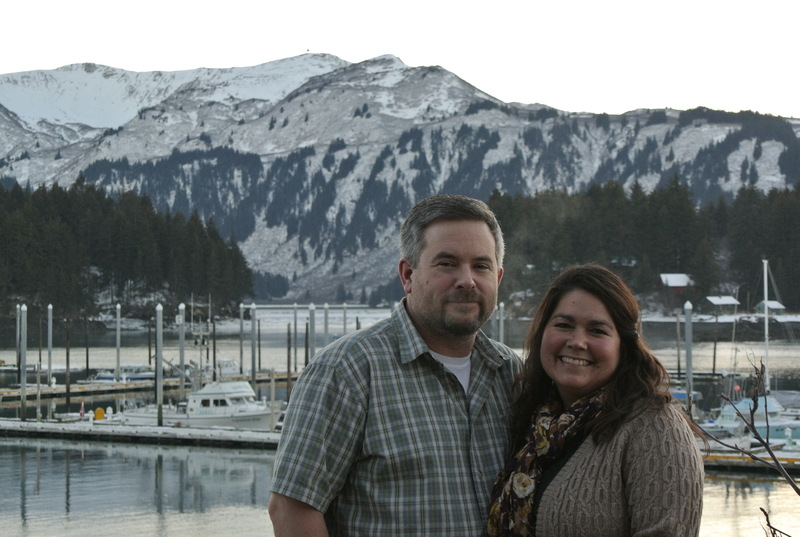 Gazette: Once again, Jeremiah and Angela – welcome to Seldovia! We anticipate great things for you with the reopening of the beautiful Seldovia Boardwalk Hotel!